Advanced air design allows air flow from every angle with all mesh sides, floor and mattress. The triple-layered ventilated mesh mattress pulls away both heat and humidity. The unique zigzag legs pop playard open quickly and easily, and the skid-proof feet keep sleep quiet and still. Folds easily with one hand, even with the bassinet inside! Same revolutionary cot - now evolution-airy. SENA aire's advanced air design delivers maximum air flow for unparalleled relaxation. So easy and breezy, even its mattress has two different levels of ventilation. Oh, and it's all machine washable. How's that for fresh thinking? Around it. I would totally recommend this product. 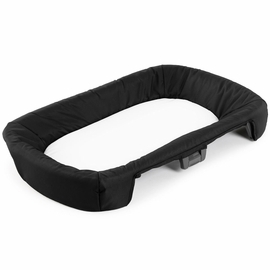 We use it as a bassinet since my baby outgrew the little bassinet at 2 and 1/2 month and it works great! Not bulky at all. I was very impressed by the quality of this item. Also, you can tell that the safety of the child was forefront when this was designed. It folds easily and stores compactly. I am glad that I purchased it. It was very pricey. We love this crib. We travel all the time and often stay at relatives houses overnight. This crib has been a life saver for us. Baby is comfy and satisfied because he is so familiar with it. We don't have to worry about baby settling into a new bed each time, he has his own bed every time. Its a bit pricey but so worth it. really easy to set up. love the quality. Saw this in the store and really like the quality of it, so ordered it online. It doesn't disappoint and worth every penny. Highly recommend. My baby took some time to get used to. Assembly very easy. I can take this anywhere with me. The only problem it seems like the bedding pad is not flat. It seem a little curved. Thats why I gave it 4 stars. I dont regret buying it. Very sturdy than other play pens I have tried. Safe for baby. Very stylish crib and great size moving it around a small house. My son seems to enjoy rolling all over the crib. 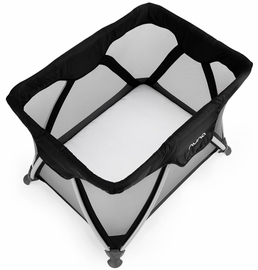 The solid mesh material gave me a peace of mind that there�€™s a good airflow inside the crib. Easy to setup. Nice material. Very stylish. Very solid. works great with the changing pad. ProsEasy to setup. Nice material. I love this travel crib! It's spacious and so easy to fold up and put back together, which we have to do frequently when visiting family or friends. It's also great that you have two levels you can adjust it to. I love that this portable crib folds and unfolds very easily (basically with one hand). It's also larger then a typical crib and it's perfect that there are 2 levels, which makes it much easier to get the baby in and out in the beginning. I also appreciate that it's made entirely of mesh which gives me peace of mind. I'm planning on co sleeping with my baby, who is due in June, for his first couple of months. I was gifted a secondhand cradle and was originally going to use that next to my bed. After searching the internet for quality cradle pads, protectors, sheets etc. I realized I was easily about to spend one or two hundred dollars on these things we would only use very briefly. 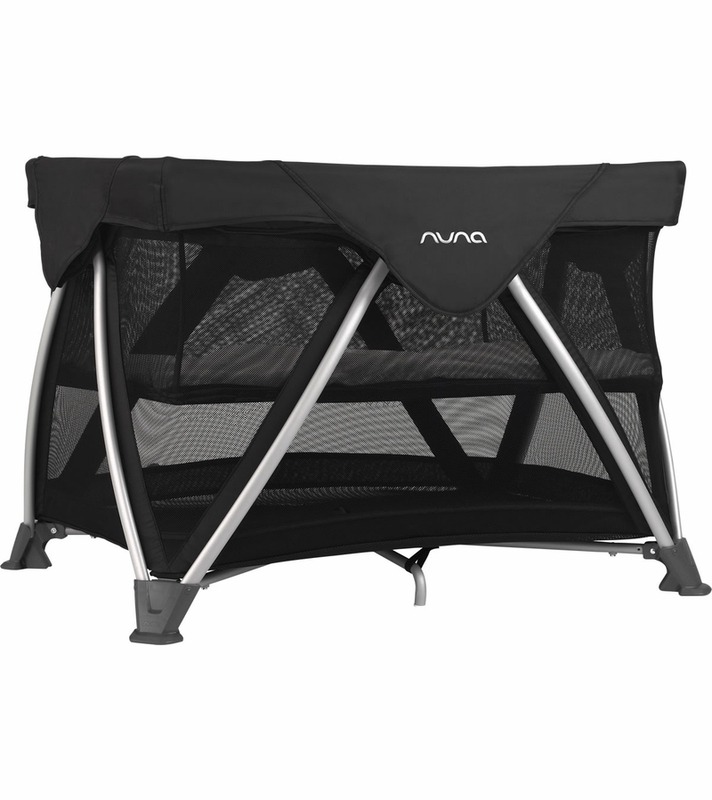 I recently purchased some other Nuna items and have been impressed by their quality. Then I considered using this playard as his bassinet and I'm really happy I decided to buy it instead. It shipped extremely fast and there was no assembly acquired. I just had to take the box off, expand the playard, and place the mattress in. I suppose it isn't the lightest playard, but I am 8 months pregnant and had no issue setting it up myself. It's very sturdy and made from quality materials. I especially appreciate that it will give him air circulation from all sides including underneath from the mesh mattress which I understand is important for SIDS prevention. Best of all, after he outgrows the bassinet function we can still use it for a couple more years. I would recommend this to anyone. Wonderful construction. 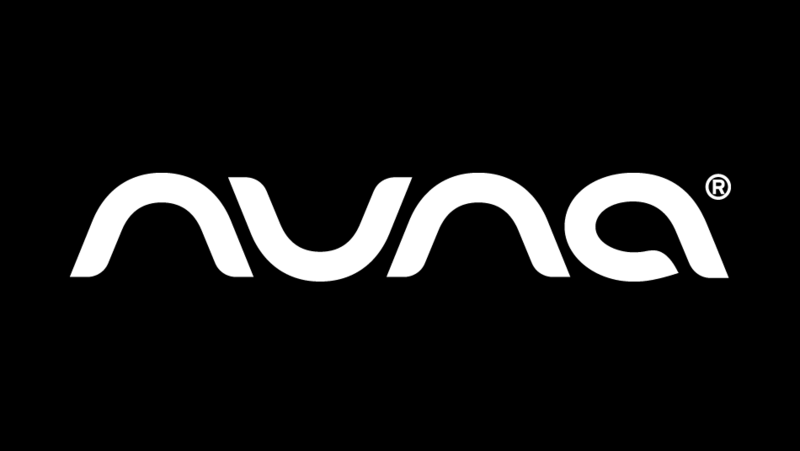 Very well designed per the Nuna standard. Very pleased. We upgraded to this travel crib when our daughter outgrew the Nuna Sena Mini. 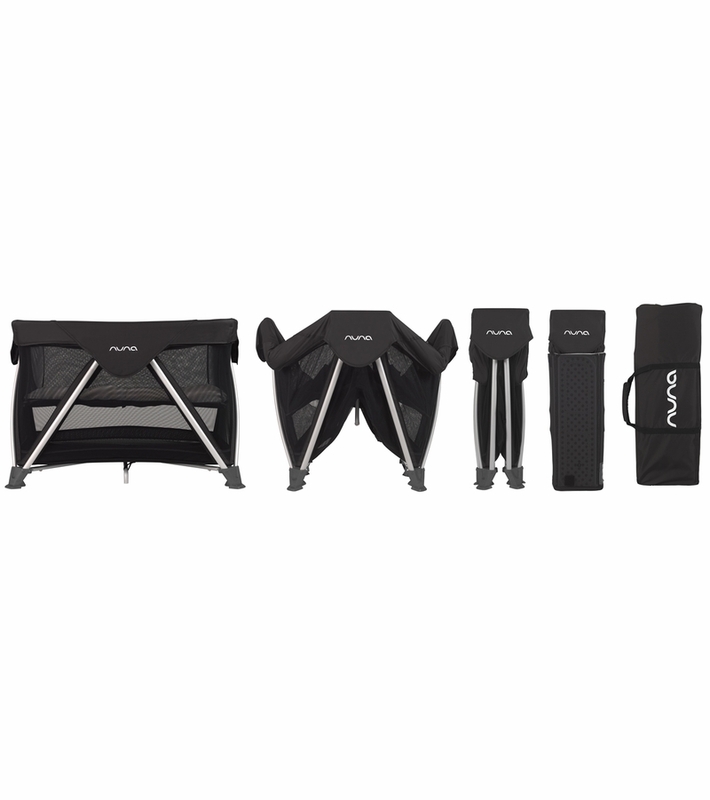 It's easy to unfold, comfortable for baby, has a higher weight capacity than other pack-n-plays, and comes with a carrying case and bassinet attachment. So Easy; Nuna products are the best! 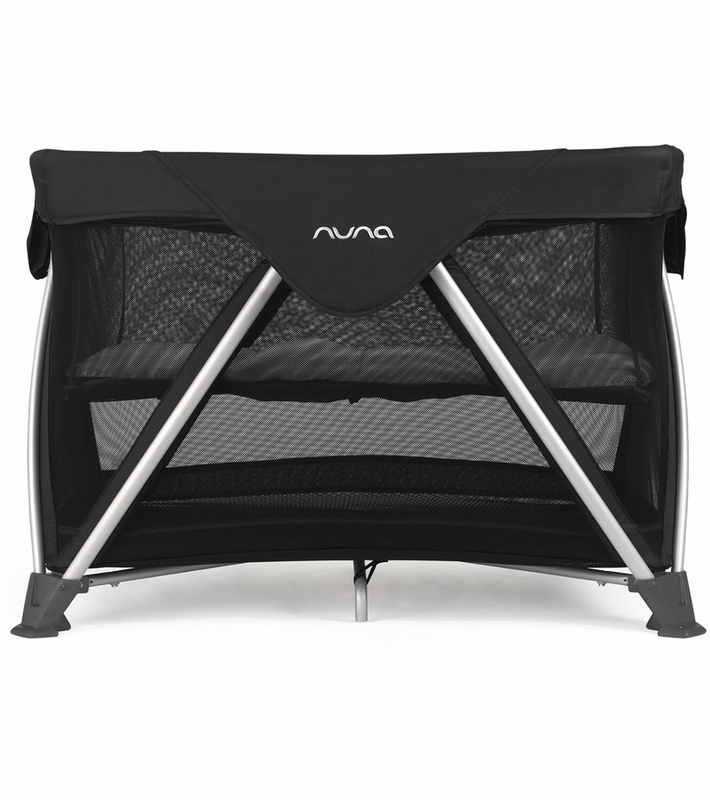 I've been so impressed with all of my Nuna products and this crib is no exception. It is so easy to assemble and the color is wonderful. I've looked at other websites and it's hard to find (therefore, I'm so glad Albee baby carried it). The travel case is also such a plus and I didn't realize it would come with a mattress sheet; I purchased a separate one so I'm glad I now have two. I'm excited for our little one to have a safe place to sleep no matter where we go! This family loves nuna. The quality and design is superb. We have one in the family room and one in the basement for our son. The mesh is great and it is simple to lower the mat now that he is mobile and tall enough to fall out. We have a 4moms breeze as well, but we love our sena air. If you are on the fence, go to the store and compare the other travel cribs. This didn't come with a sheet, but we found that any other pack and play sheet will work. One con, is lowering the playmat, when you do this, it is just a black liner left. We Love Nuna. Great quality products. This travel crib is one is the easiest to open and close that we have seen so far! ConsMattress is sligggtly uncomfortable with the folding ridges and firmness for our daughter to sleep on comfortablly. Wonderful for naps and short term trips. Organic sheet is supposedly only hand washable, which makes for a difficult time when accidents happen in the middle of the night. Have a spare on hand. Great quality. Easy to assemble and use. Washable. Organic sheet. Love. Beautiful travel crib goes well with our aesthetic! The baby loves it too. Combined with the SnoozeShade, he sleeps like a ... well, baby. This crib is a bit heavy so we leave it standing at my in-laws' house and use the Bjorn Travel light crib for other trips. Nice product. Love the fabric. I wish the bassinet part could be used over 15 lb. My baby was over 15 lb when I received the product. So didn't have a chance to use bassinet. Waiting for baby to be able to sit on his own to use the playard. Really good product. Easy to use, good quality. Fast shipping. The first travel crib that I ordered was this one but when I got it I just did't like the color. It's very dark, too dark for a baby so I had to return it and get the color safari. 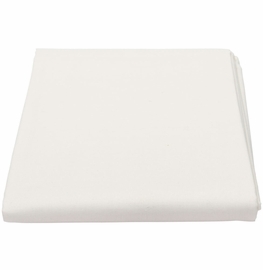 Otherwise the crib is great, good quality, very was to fold and unfold, very comfortable. I bought one of these for my office because I am taking the baby with me to the office. He sleeps for longer stretches in this travel crib then at home in his Pottery Barn crib. I don't know why his naps are longer in this travel crib then in his actual crib at home. Anyways I love it because the baby loves it so I ordered a second one for home now. It's very good quality and seems comfortable. Even more beautiful in person. I love this travel crib. It is easy to open and close. Good quality, I am glad I spent the extra money and got the larger one.Came quickly too! Easy to set up right out of the box. Quality is obvious. 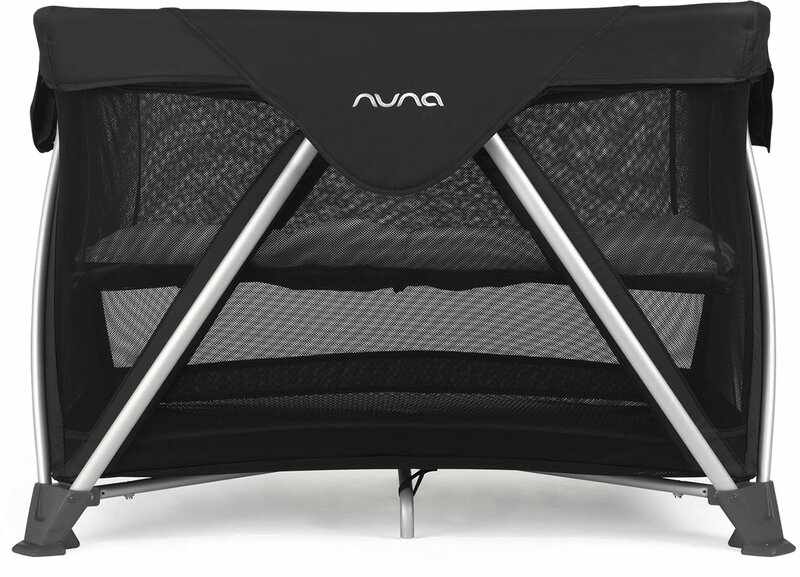 I almost purchased the guava Lotus playard from their website, but decided to go with the Nuna as the bottom of the playard is not directly on the floor. The bassinet portion is good for up to 15lbs; I wish I could use it beyond that (less bending over), but its listed as a fall hazard. Seems very comfy for baby. I wish I could crawl in with him! Gearing up for motherhood, i've one a lot of research on all the baby gear. 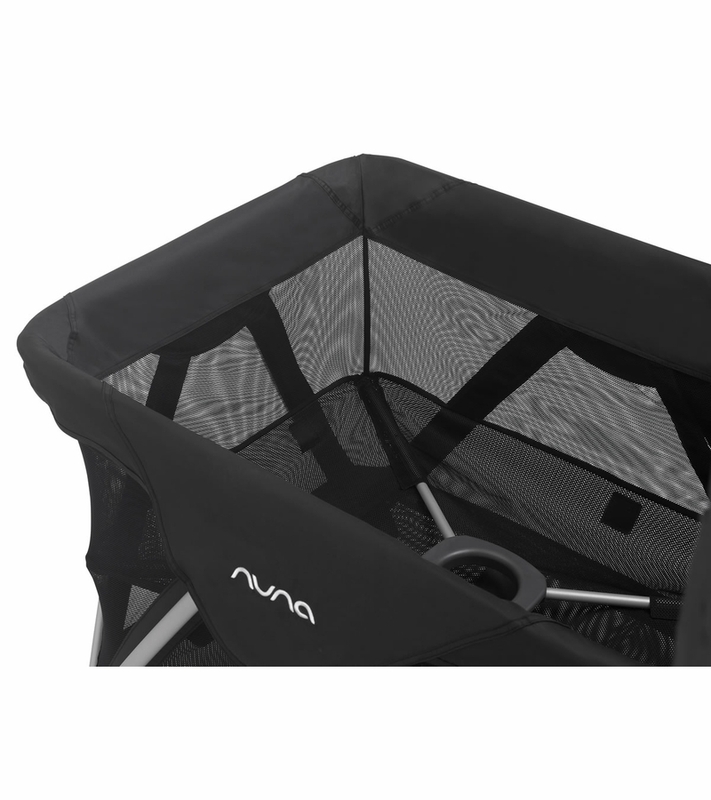 I am in love with the Nuna products and the suited collection adds really nice touches if you're into the details. Main selling points for me for this item were the breathable mattress, the mesh lining, easy of use to open and store. It also comes with great travel bag and organic cotton sheet! Great buy - Hope he enjoys as much as mommy does!! My daughter has convinced me on the importance of eliminating harmful chemicals from baby products. This travel crib is expensive but the peace of mind we will have when our future granddaughter visits is worth it. We will be using this on the first floor of our house for nap time and our daughter can borrow it for use as a travel crib. 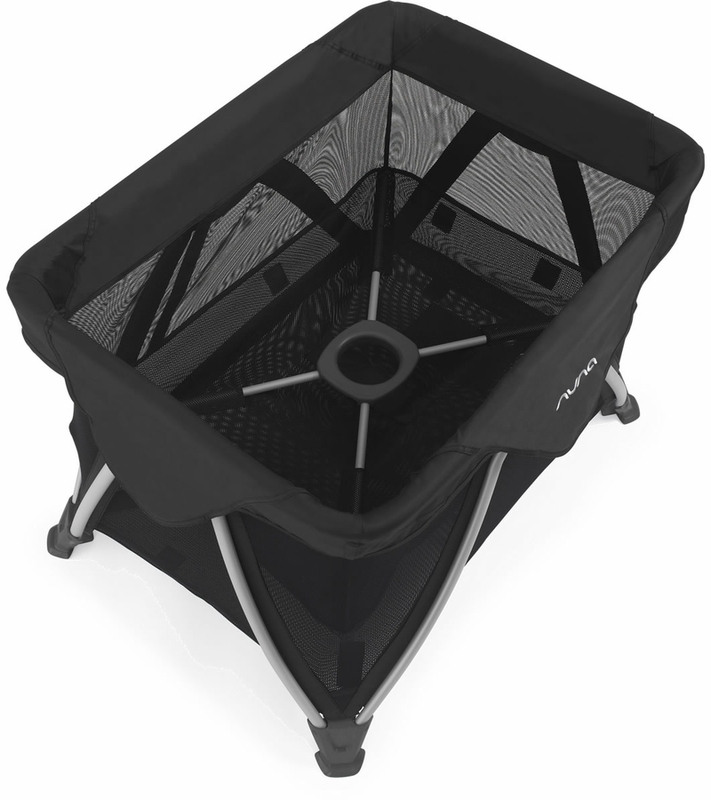 It goes up and down very easily and the removable bassinet level is very convenient. ProsEase of use. Removable bassinet level. 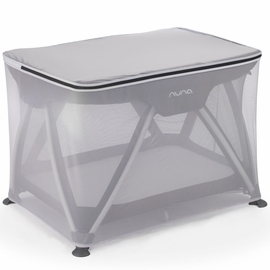 I seriously did my research regarding playards; I chose the Nuna for various reasons; Safety; my main concern; this playard breathes; it is all mesh; the washable mattress & easy fold was it's selling point for me. I'm very happy with our purchase. ProsMesh Breathable & Washable Mattress. Best UsesEveryday at Home; Grandparents; Family Outings. Perfect for your little one! After doing lots of research I chose this play yard for my little one. I love the new design for the mattress. That way when little ones turn over on their tummies you don't have to worry!